Unfortunately, the auto repair industry has gotten a bad reputation. Dishonest repair shops sometimes recommend repairs that aren’t necessary. In some cases, they don’t do the needed repairs properly. This results in spending money that you didn’t have to, having to pay to get the vehicle repaired again somewhere else and feeling untrusting of mechanics. If you need automotive repair, it’s important that you choose the best auto repair shop for your vehicle. Finding a shop that runs with honesty and integrity is important, and so is finding skilled automotive technicians that don’t compromise on quality work. Ask for referrals from people you trust. 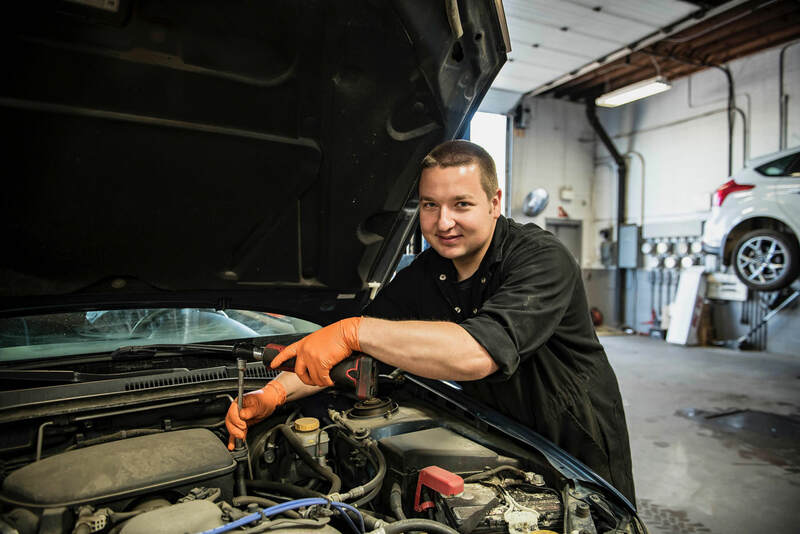 Word of mouth is the best tool for finding a trustworthy mechanic. Before you do any internet searches, ask your family, friends and colleagues if they have an auto repair shop in Edmonton they trust. If they’ve had a positive experience with that shop, chances are you will too. Online reviews can be helpful when choosing an auto repair shop, especially if you didn’t have any personal recommendations when you started your search. The experience of past customers can give you an idea of how your experience might be. Read some online reviews for Revolution Motors. All automotive repair businesses in Alberta must be licenced by the Alberta Motor Vehicle Industry Council (AMVIC). This council ensures certified shops are compliant to industry standards. For example, to be certified, you must have at least one automotive service technician hold an official trade certificate. If a shop is not certified by the AMVIC, walk away. Ask if they’re a member of the Better Business Bureau. Check if the shop is a member of the Better Business Bureau (BBB). This shows that they are willing to be held accountable for the work and service they provide. Auto repair shops rank high on the BBB’s common complaints, so if the shop you’re inquiring about has done some dodgy things, you’ll likely read about it here. Remember that no one or no business is perfect and sometimes even the best auto repair shop can make a mistake. How they deal with those mistakes can show integrity, or lack thereof. If a highly recommended shop has a complaint on the BBB, check to see if the business did anything to resolve the problem. If they’ve responded to the complaint and offered a solution for the customer, that means they can be trusted to make up for any mistakes. If an automotive repair shop doesn’t offer any guarantees on their work, that could be a warning sign. Revolution Motors offers a Customer Care Program that includes a 5-year, 100,000 km warranty on materials and workmanship. We are ready to stand behind the work we do on your vehicle. If an automotive repair shop doesn’t offer any guarantees on their work, that could be a warning sign. Revolution Motors is committed to providing transparent customer service. You won’t have to worry about whether we’re telling the truth about your automotive repair needs. We will bring you in the shop and show you the problem, allow you to compare damaged parts with new ones and explain how each component works so you feel confident in the repairs you’re paying for. We will even tell you what needs to be done now and what you can hold off. It is our goal to change the negative stigma around auto repair shops by offering honest, trustworthy and high-quality customer service and workmanship and competitive pricing. View our services and book an appointment today!